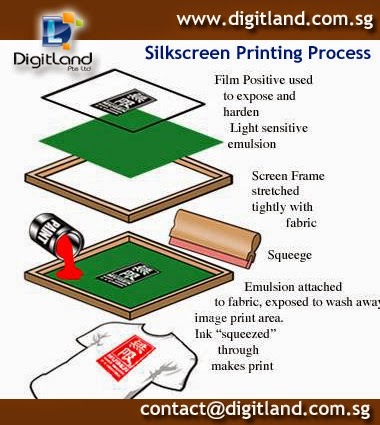 What is Silkscreen Printing | When to use? 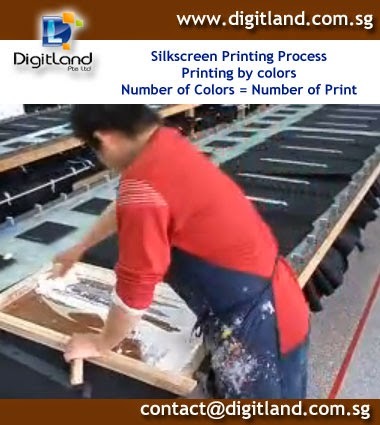 Screen Printing or Silkscreen Printing is a traditional printing process use in textile industries. 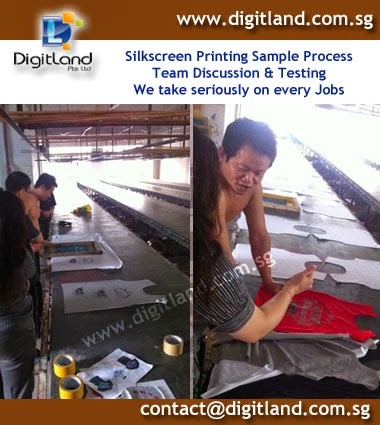 DigitLand will use silkscreen printing for order Qty more than 50pcs and above. 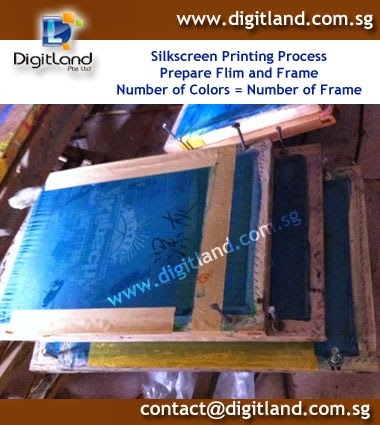 There is an initial setup cost, as to prepare Film, Plate and Frame., etc. Number of colors (equal=) Number of Flim (equal=) Number of Printing. 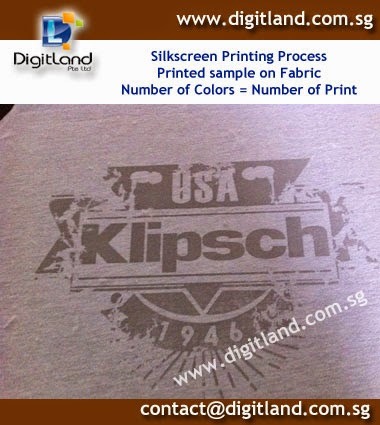 Recommend for Less colors with Big Area Print, or Bulk Order - 100pcs, 1000pcs, 10,000pcs. 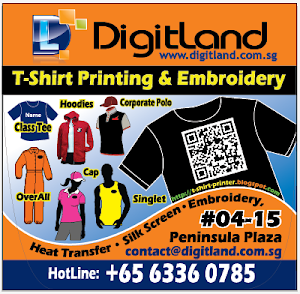 Show your design to our Team, we will advise you the best suitable printing method to go..